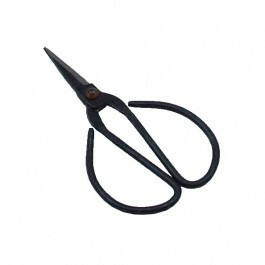 120mm Chinese bonsai curved handled trimming scissors / shears, entry level scissors for smaller trees. 120mm curved handled trimming shears / scissors. 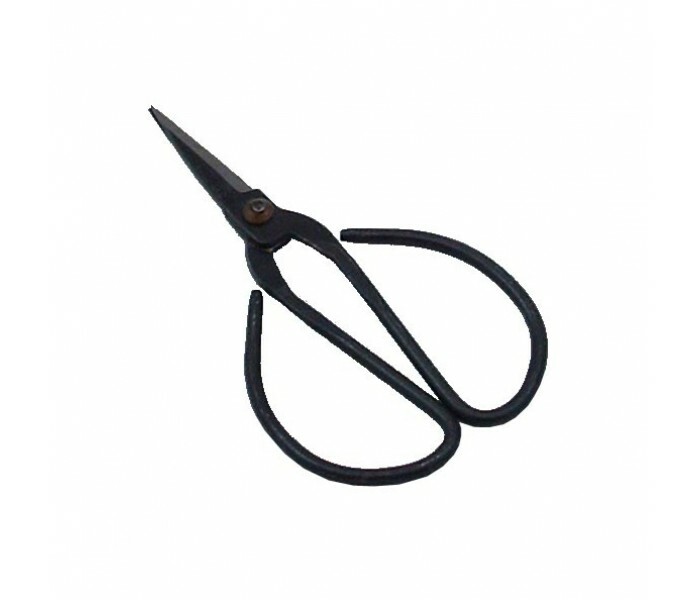 These low cost bonsai scissors / shears are suitable for all round general light trimming of small trees. Made from black finished steel. These are entry level bonsai scissors but will still last many years if kept clean & oiled.